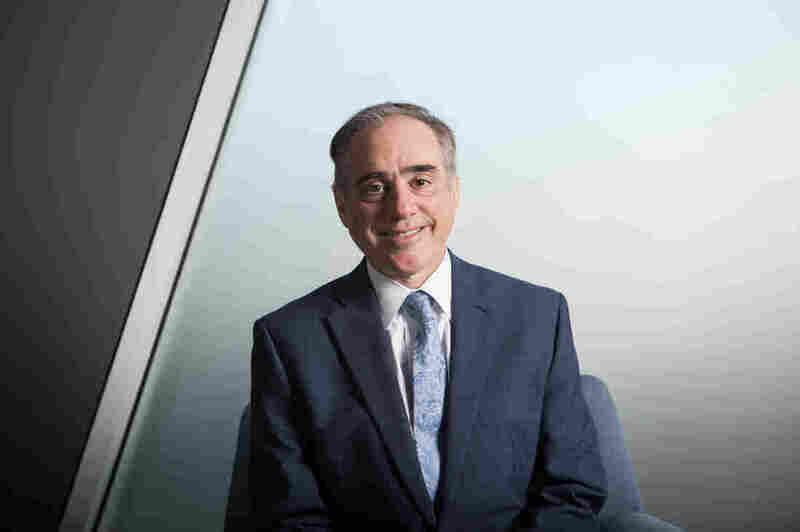 Secretary of Veterans Affairs David Shulkin is working with Congress to renew the Veterans Choice program, which allows some veterans to get medical care outside the VA system, and provides money for medical staff. Sen. John McCain, R-Ariz., and Sen. Jon Tester, D-Mont., are asking the Senate to approve an extension of the Veterans Choice and Accountability Act. The bill, passed in 2014, provided billions of dollars to the VA and was supposed to help veterans get medical care more quickly. Three years later, VA hospitals are still struggling to add staff, and many veterans still face long wait times to see a doctor, as NPR has reported. Shulkin discussed his current priorities for the Department of Veterans Affairs, including how the money from the Veterans Choice program has been spent, and his approach to the persistently high rate of suicide among military veterans, with NPR's Rachel Martin. The interview has been edited for length and clarity. [Veterans] Choice was authorized for three years, and ... the end for that is this August. If that program expires and we don't get a reauthorization, or the ability to continue that program, veterans are going to be back waiting for care, and we're going to find ourselves exactly where we were. So we're working hard with our colleagues in Congress to make sure that we do get this bill extended. Well, we have about 360,000 employees in the VA health care system. It's the largest health care system in the country, and we have many job openings. This is actually something you see across America, particularly in rural America, where there's a shortage of health care professionals. We're out actively trying to recruit many health care professionals ... and the negative attention that's been put on VA has hurt the morale of our work force. So what we're trying to do is get people to understand that when they come to work at VA, this is really a terrific place to work. It's filled with dedicated professionals, we're doing great work every day, it's a way to serve your country and we want people to come join us. Well, we're talking about now something back almost three years ago. And when Congress authorized this [Veterans Choice] program, it was done with urgency. They asked the VA to get an entire national program up in 90 days. That's really never asked ever of any agency or any private company ever before. The VA had to make a lot of decisions really quickly. It went out to the field, and it said who thinks they can go and hire health care professionals? Who is able to use this money quickly? I think many good decisions were made, but it wasn't done in the same way as if we would have had a year to implement this. So we ended up making some adjustments. In the end, I think that we ended up hiring where the wait times were the longest, but it wasn't done in the most thoughtful way because of the time that we had to stand this program up. There is no doubt that suicide is my number one clinical priority. I work on this, I think about this every day. ... I can tell you that nobody is doing more for behavioral health care in this country than the VA. We have extremely comprehensive systems. I have one thousand professionals who do nothing but suicide prevention every single day. The problem is that we're responsible for the 22 million veterans in this country. And of the 20 vets who take their life every day through suicide, just six are getting care in the VA health care system. We have to work with groups, with families and others, to identify the 14 that aren't getting care, that are out there right now [and] that we're very, very concerned about. One of the realities of our ability to address the suicide issue is that VA can't do this alone. We need help from community partners, we need help from scientists, we need help from technology companies. Well, the suicide crisis hotline was one of those situations where the demand for our services was outpacing our ability to keep up with it. About four months ago, I made the decision to bring on an additional 200 Veterans Crisis Line responders. It took us a while to train them because these are highly specialized clinicians who have to answer these phone calls. We opened up a second center in Atlanta, we have one in upstate New York and now today I'm pleased to say that, while we were not able to get to about 30 percent of the calls three or four months ago, really in the past six weeks we're getting to almost all the calls. We are at a less than 1 percent rate of calls that roll over to another call center that is answered by professionals. But we want every call answered by our own Veterans Crisis Line responders, and now we're getting to more than 99 percent of those calls.